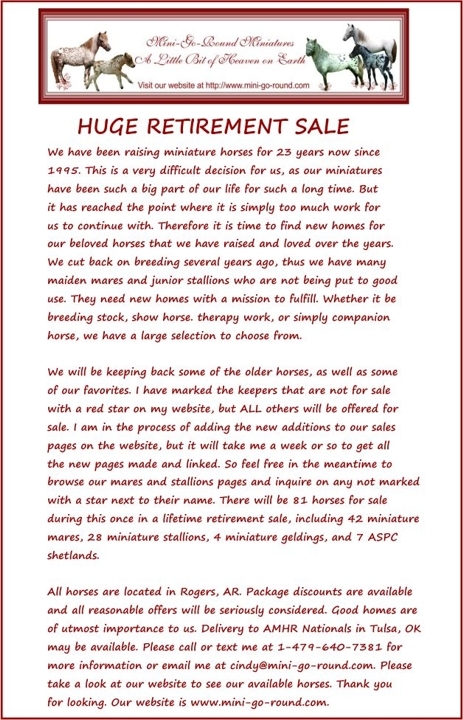 81 horses for sale. Read more details below. Please visit our sales pages by clicking on the links below. Coggins and Health certificate will be buyers responsibility for all sales priced at $1000 or less!